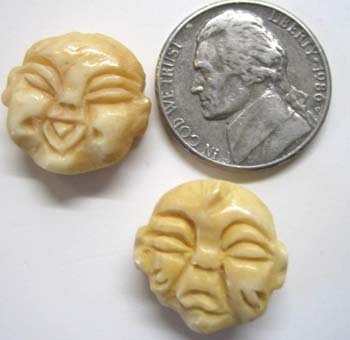 Package of three hand carved face beads. These are reversible. Happy on one side, sad on the other. 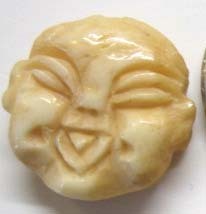 Each is 3/4 inches wide.